Are stiff joints making your life difficult? Living with arthritis is painful, to say the least. But if you feel that arthritis is taking over your life, it’s time to get some extra help from nature to get relief from arthritis pain. Cartilage is a firm and flexible connective tissue that protects your joints by absorbing the pressure and impact on the bones during movement. Arthritis can be described as any form of damage in this cartilage that results in pain and inflammation in the joints. 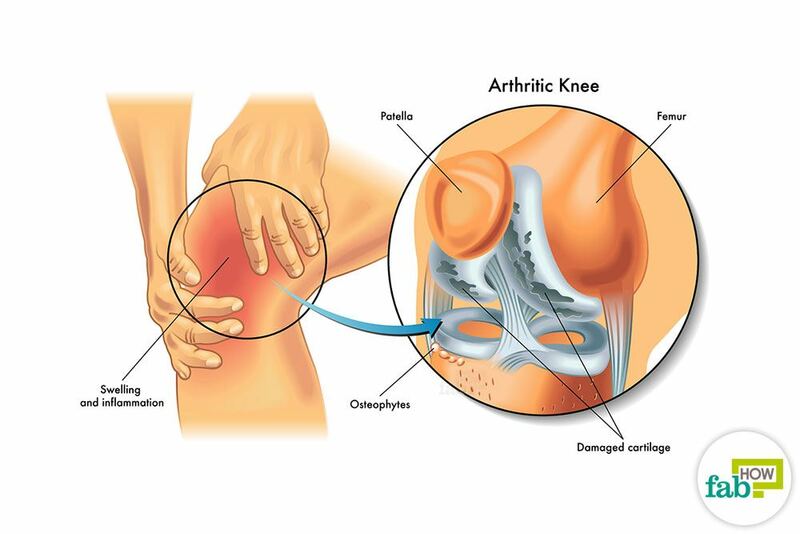 Osteoarthritis, the most common type of arthritis, occurs as a result of normal wear and tear on the cartilage. Extensive damage to cartilage can result in the bones of the joint grinding onto each other, resulting in excruciating pain. Rheumatoid arthritis is an autoimmune disease in which the body’s immune system works against the body. In this less common condition, the immune system attacks synovium, a soft tissue that produces a fluid that nourishes the cartilage. As the condition progresses, it can lead to the degradation of cartilage and eventually the bones at the joint, resulting in excruciating pain and inflammation. An infection in a wound or surgical incision can lead to septic arthritis in which bacteria or fungi have affected a large joint like a hip or knee. Gout is another form of arthritis in which excess uric acid in the bloodstream leads to uric acid crystals forming in the joints, causing pain and swelling. It most commonly occurs in the large joint of the big toe, but it can also develop in the feet, ankles, knees, hands, and wrists. Smoking and laborious occupations that involve repeated heavy lifting or even continuous typing increase the risk of arthritis. Being female and having a family history of arthritis puts you at greater risk of being affected with this condition. Arthritis is also marked by stiffness in the joints, exhaustion, loss of appetite, weight loss, skin rashes, anemia, mild fever and sweating at night. These symptoms aren’t specific to arthritis and may result from other health conditions. A doctor should be consulted for proper diagnosis. Arthritis symptoms often worsen during the morning and can affect normal day-to-day activities. Pain from arthritis can also cause you to lose sleep. Since medical experts have not been able to pinpoint the exact cause of arthritis, there are no surefire ways to prevent it. But you can take certain measures to reduce your risk of developing arthritis or delay the potentiality of its onset, especially if your gender or genetic profile makes you more prone to arthritis. Leading an active and healthy lifestyle and practicing good posture are important for keeping arthritis at bay. Maintaining a healthy weight can help you keep osteoarthritis at bay. Following a healthy diet that’s low in sugar and alcohol can stave off gout. Arthritis medication aims to relieve pain and inflammation, improve joint function and prevent bone loss. If you’ve got arthritis, the best way to deal with it is to manage it as best as you can. Safe home remedies and a suitable lifestyle are an effective way to manage arthritis symptoms. The natural remedies below can help you get rid of arthritis pain naturally. When it comes to its medicinal uses, borax has been shrouded in much suspicion and mystery, but its role as an effective arthritis treatment is hard to ignore. If administered with caution, borax can be the miracle cure that you’ve been waiting for. Borax, or sodium borate, is a salt of boron and should not be confused with boric acid, an effective insecticide. Boron is crucial for healthy bones and properly functioning joints. (3) Its highest concentration is found in parathyroid glands, followed by bones and enamel. Parathyroid glands regulate the body’s absorption and metabolism of minerals like calcium, magnesium, and phosphorus. These glands maintain a balance in the amount of calcium present in our bones and bloodstream. Boron is crucial to the functioning of the parathyroid glands. A boron deficiency can make the parathyroid glands overactive, which can result in abnormal leeching of calcium from the bones to supplement the bloodstream. This, in turn, weakens the bones and joints. Boron also raises the levels of estrogen, which further supports bone health. An individual’s daily requirement for boron is less than 20 mg. When consumed in regulated amounts, borax can safely supplement a boron deficiency. Increase your magnesium intake while consuming borax, as it seems to work synergistically with magnesium. Note: This remedy should not be used if you have kidney problems. Consult a doctor before administering this remedy to pregnant women and small children. 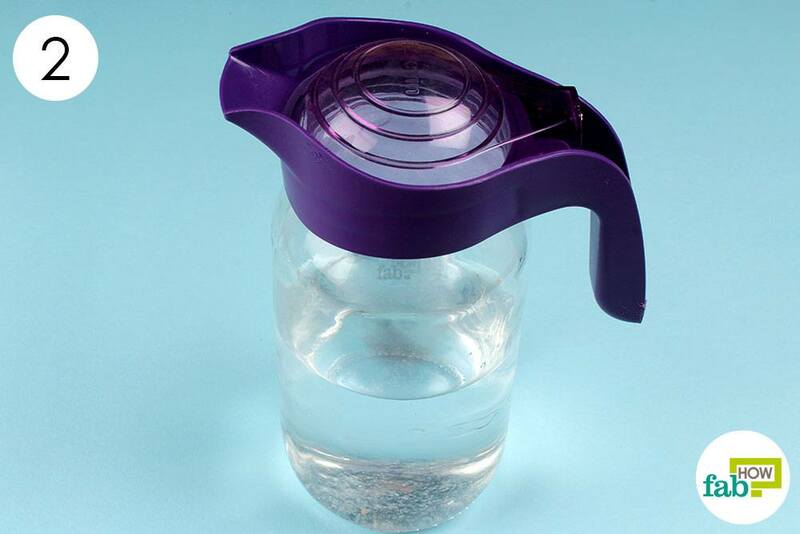 Pour 2 cups of water into a jug. Add a ⅛ teaspoon of borax to it. Mix the ingredients until the borax is completely dissolved in the water. This is your concentrate and should be kept out of the reach of children. 1 teaspoon of the concentrate has 25 to 30 mg of borax that should provide approximately 3 mg of boron. A healthy individual with no health concerns can safely consume 1 to 2 teaspoons of this concentrate as a healthy supplement of boron. 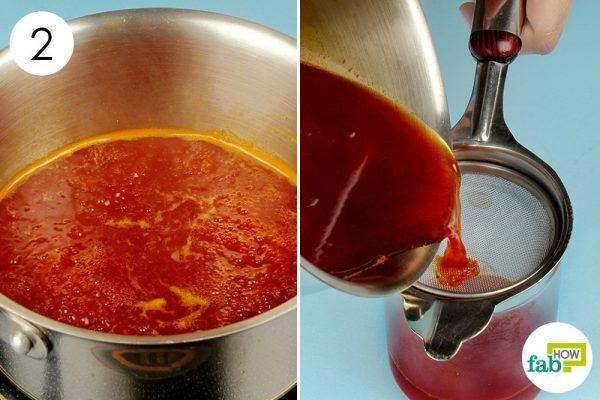 When taken as a remedy for arthritis and joint pain, consume 1 tablespoon of the concentrate. When your body adjusts to the dosage over a period of a few days, increase the dosage to 2 tablespoons. A day’s dosage should be spaced out throughout the entire day. You may also take a break from the dosage for 2 consecutive days each week – 5 days on, 2 days off. Continue with the remedy for at least a couple of months to get relief from arthritis pain. Once you’ve experienced significant improvement, you can drop back to the normal dosage. Apple cider vinegar (ACV) is not just a good beauty hack, but can also help you get rid of joint pain and inflammation caused by arthritis. Though it lacks a substantial amount of research, it may help give symptomatic relief. Calcium, phosphorus, magnesium, and potassium are some of the minerals present in it. 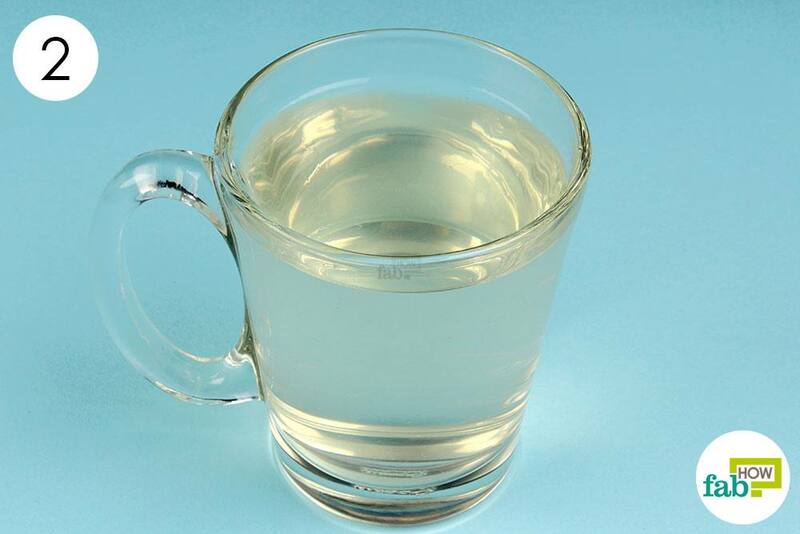 Apple cider vinegar is mostly acetic acid, which along with magnesium aids in the absorption of calcium. The enzymes and probiotics present in it also ease digestion and aid the absorption of nutrients necessary to maintain healthy joints. It also protects the joints by neutralizing free radicals and detoxing the body. 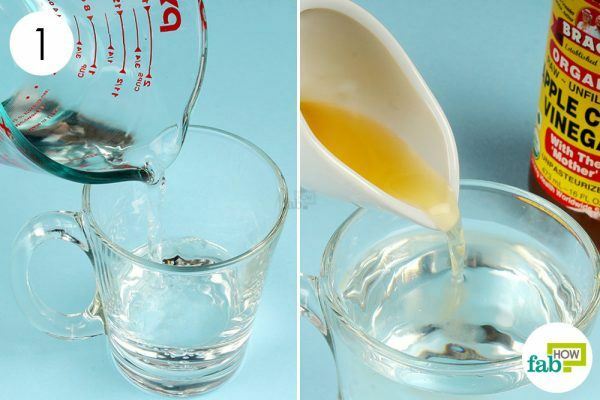 Pour 1 cup of hot water into a glass. Add 2 tablespoons of raw, unfiltered apple cider vinegar and mix well. 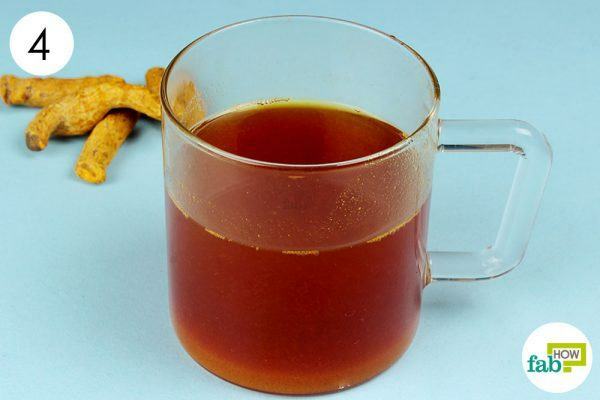 Consume this warm apple cider vinegar drink twice a day. 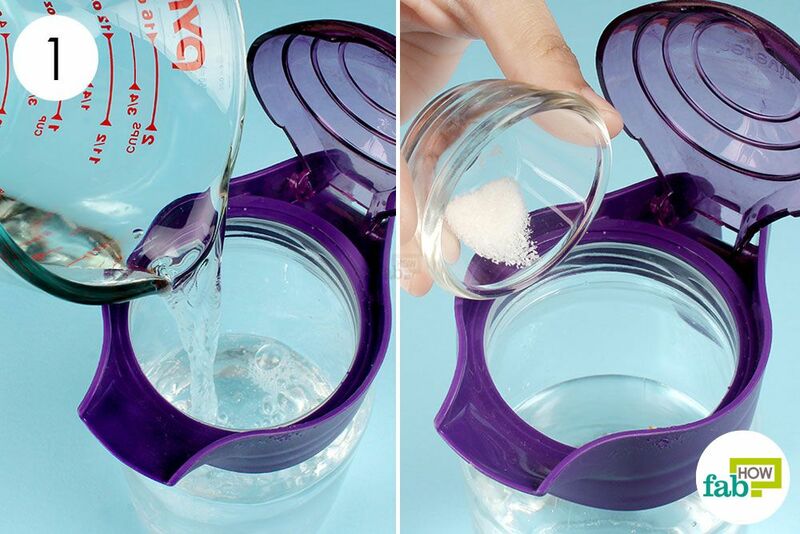 You may notice a significant difference with just 2 weeks of regular use. Note: Pregnant women should not consume turmeric in medicinal amounts, as it may stimulate the uterus or promote menstruation, putting the pregnancy at risk. When consumed in amounts normally found in food, turmeric can be safely ingested by pregnant women. 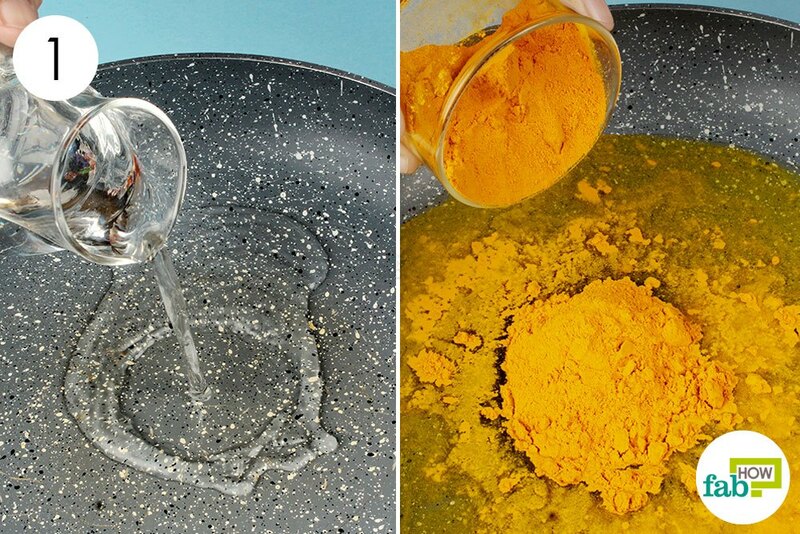 Cook the turmeric in water over medium heat until it becomes a thick paste, approximately 5 to 10 minutes. 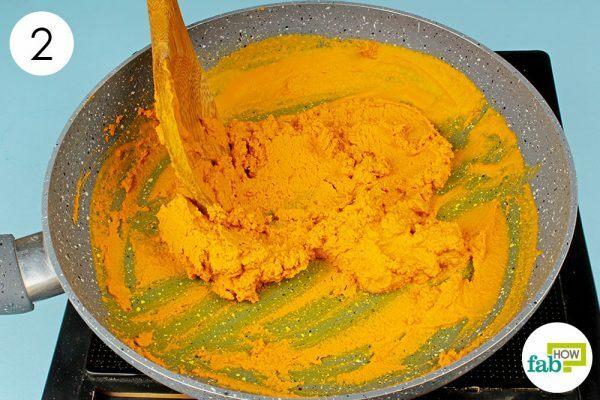 Keep stirring continuously to prevent burning the turmeric. Spoon the thick turmeric paste into an airtight jar. You can easily store it in the refrigerator for use over several days. Apply the paste over your sore joints for 15 minutes before washing it off. Repeat twice a day regularly to relieve pain and inflammation. You should get relief from arthritis pain within a few days. Gin is flavored with juniper berries that are rich in compounds with anti-inflammatory properties like vitamin C, catechins, menthol, and rutin. 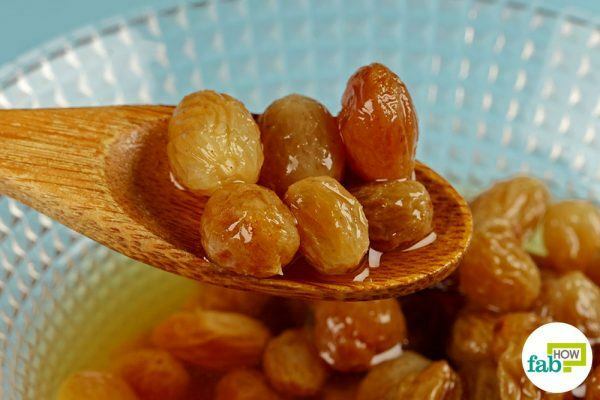 Raisins are also rich in vitamin C and antioxidants along with ferulic and salicylic acids, which give the dried fruit its analgesic properties. Put raisins in a bowl. Pour gin over the raisins so that they are completely covered. 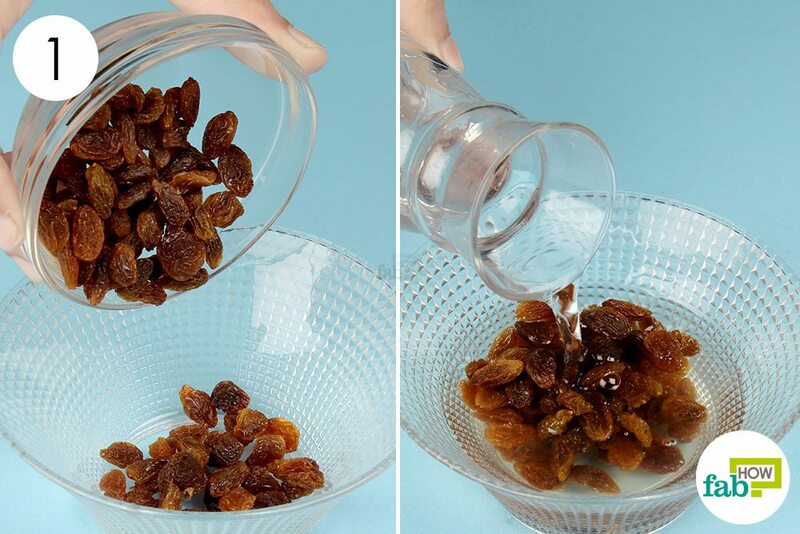 Let the raisins soak in the gin overnight. 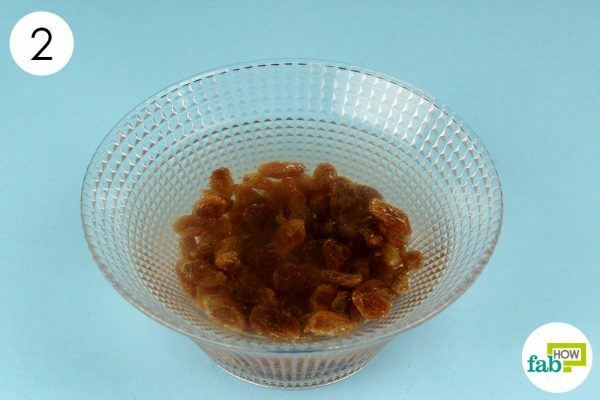 Consume 9 of the soaked raisins every day to alleviate arthritis symptoms. It may take a few months for symptoms to get better. While you can take ginger extract in capsules or consume raw ginger, ginger tea is a simple way to use ginger for relief from arthritis. Turmeric and honey boost the benefits of this tea. While turmeric compliments the anti-inflammatory and analgesic properties of ginger, honey lends its powerful healing properties to the remedy. This tea is also beneficial in reducing cold and flu symptoms. 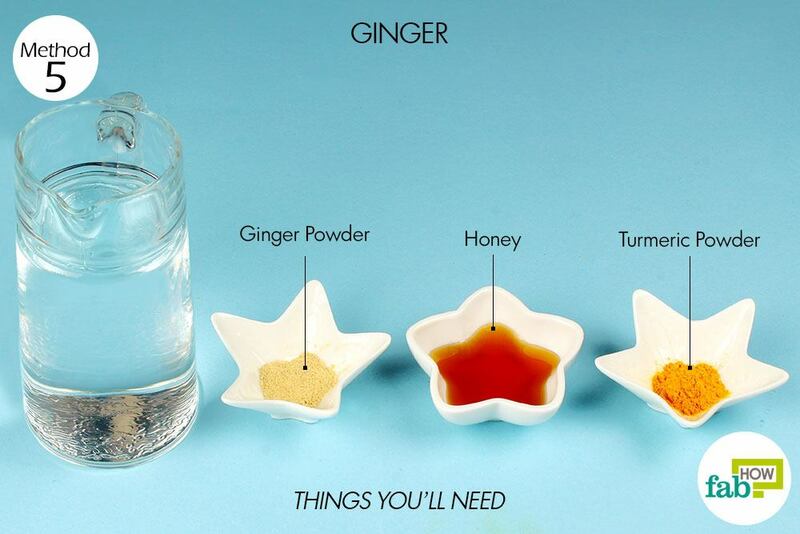 Note: Avoid taking ginger if you’re due for surgery, as it thins the blood. Don’t take it if you’re already taking blood-thinning medications or if you have gallstones. Add 1 teaspoon of ginger powder to it. 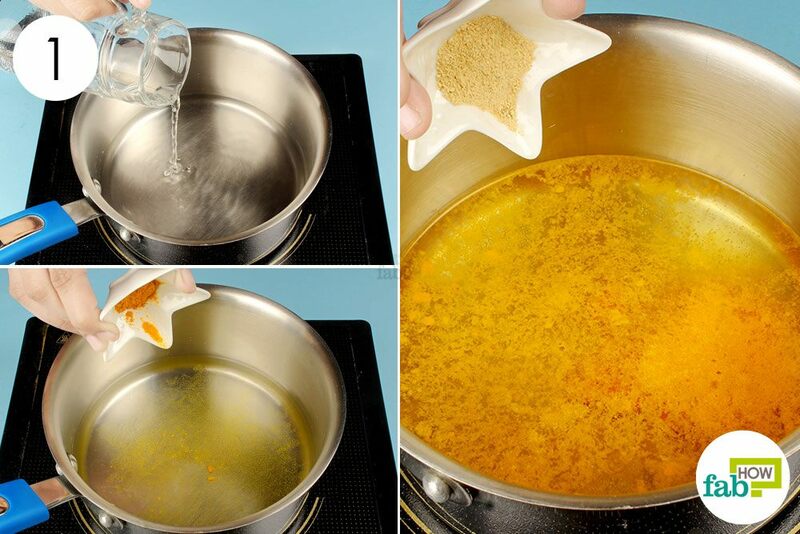 Add in 1 teaspoon of turmeric powder as well. Reduce the heat and let it simmer for 3 to 5 minutes. Take the pan off the heat and strain the tea into a cup. 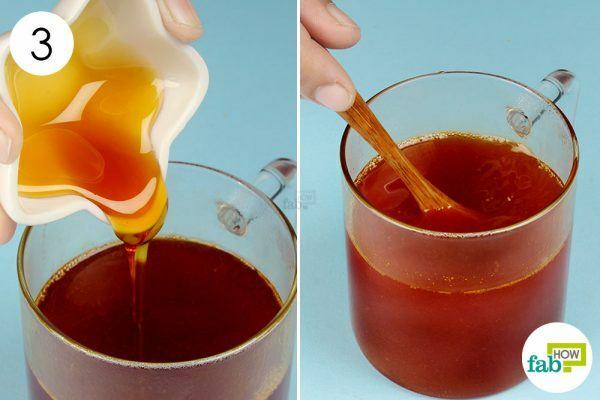 Add 2 teaspoons of raw honey to the tea. Drink this ginger-turmeric tea 3 times a day regularly as an arthritis treatment. You may start noticing a difference within 1 week of use. Always keep your borax concentrate out of the reach of small children and pets. It can be poisonous when consumed in large quantities. 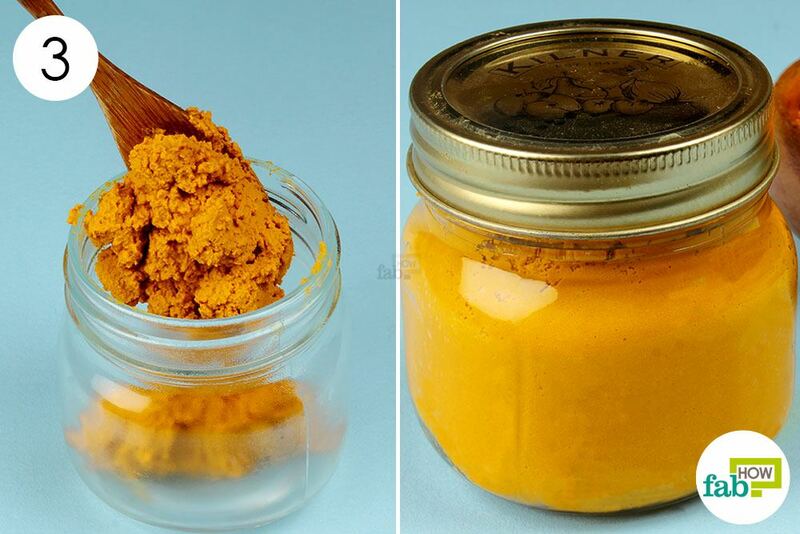 Avoid applying the turmeric paste straight from the refrigerator. Let it come to room temperature first. Menthol or capsaicin creams can also be used to relieve joint pain. For the gin-soaked raisin remedy, you can also let the raisins soak in the gin for a couple of days or up to 1 week. 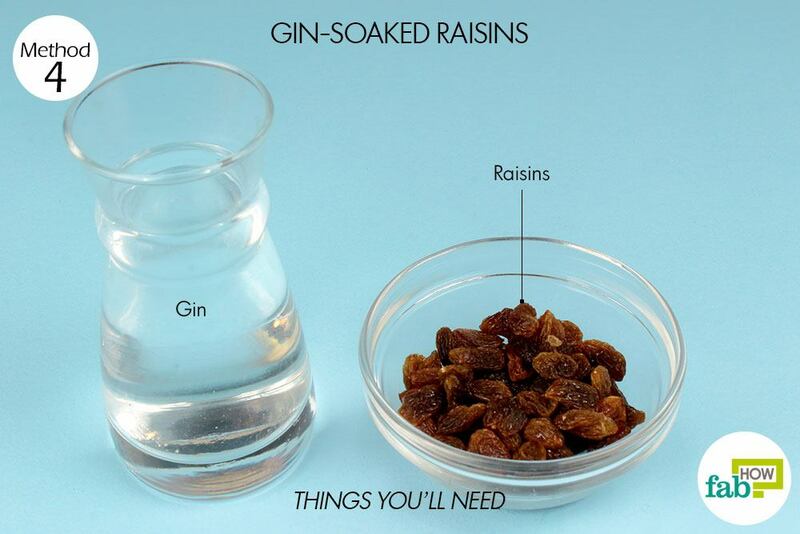 Consume the raisins when the gin is completely evaporated. Senthelal S. Arthritis. StatPearls [Internet]. https://www.ncbi.nlm.nih.gov/books/NBK518992/. Published November 14, 2018. Rheumatoid arthritis: Overview. InformedHealth.org [Internet]. https://www.ncbi.nlm.nih.gov/books/NBK384455/. Published August 11, 2016. Pizzorno L. Nothing Boring About Boron. Integrative medicine (Encinitas, Calif.). https://www.ncbi.nlm.nih.gov/pmc/articles/PMC4712861/. Published August 2015. Perkins K, Sahy W, Beckett RD. Efficacy of Curcuma for Treatment of Osteoarthritis. Journal of evidence-based complementary & alternative medicine. https://www.ncbi.nlm.nih.gov/pmc/articles/PMC5871206/. Published January 2017. Arcury TA, Grzywacz JG, Neiberg RH, et al. Daily use of complementary and other therapies for symptoms among older adults: study design and illustrative results. Journal of aging and health. https://www.ncbi.nlm.nih.gov/pmc/articles/PMC3657707/. Published February 2011. Skoczyńska M, Świerkot J. The role of diet in rheumatoid arthritis. Reumatologia. https://www.ncbi.nlm.nih.gov/pmc/articles/PMC6142028/. Published 2018.